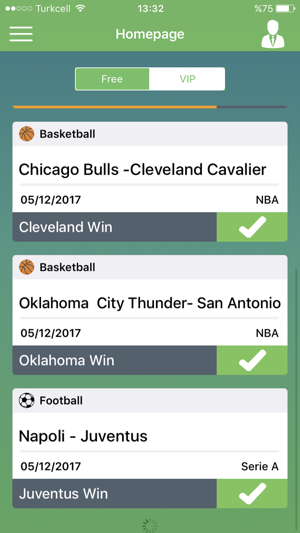 Betting VIP Pro provides daily tips of football, basketball, tennis, boxing, american football and baseball matches all over the world. You can easily read tips of daily programs and also you can see Premium tips. You can not miss important matches via daily notifications. 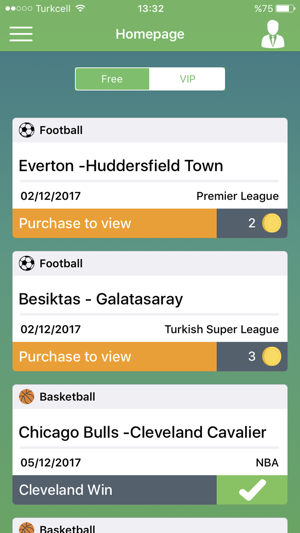 Betting VIP Pro bring you the most advanced sports betting app for the iPhone. 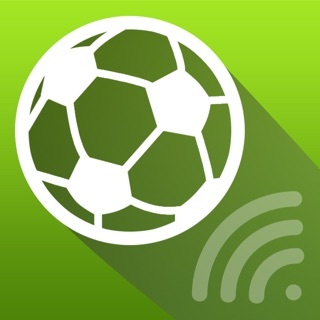 If there is a important competition or match, we will provide much more tips and Premium offers for you. Join millions of Sports Fans and betting enthusiasts alike in a sporting experience that puts your knowledge of sports and the game right on the line! Truthful tips and reliable comments in our team. We will also interest your satisfaction. We keep our app up to date. • VIP Membership is a monthly subscription at $14.99 per month. 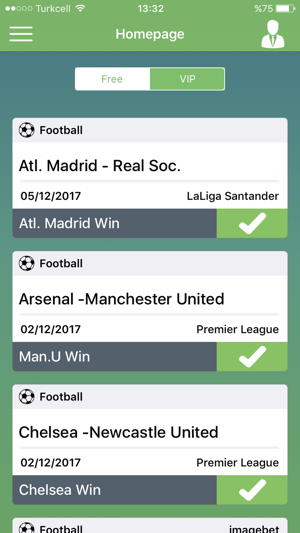 • You can explore tips on Betting Tips Pro. 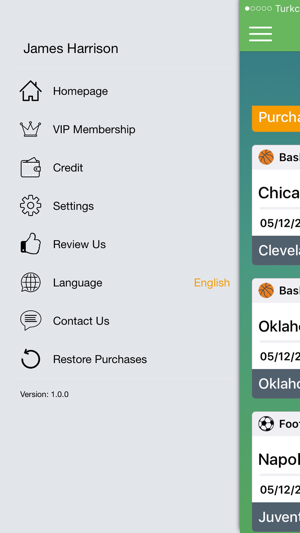 • If you get VIP, you can explore all Tips including Football, Basketball, Tennis and Baseball. If they get it right, they will let the tip in the app if it’s wrong they will delete it. I’ve paid the vip subscription and I’m not happy , don’t spend your money , it’s a scam.